So you are looking at your budget and staring at the amount coming in. 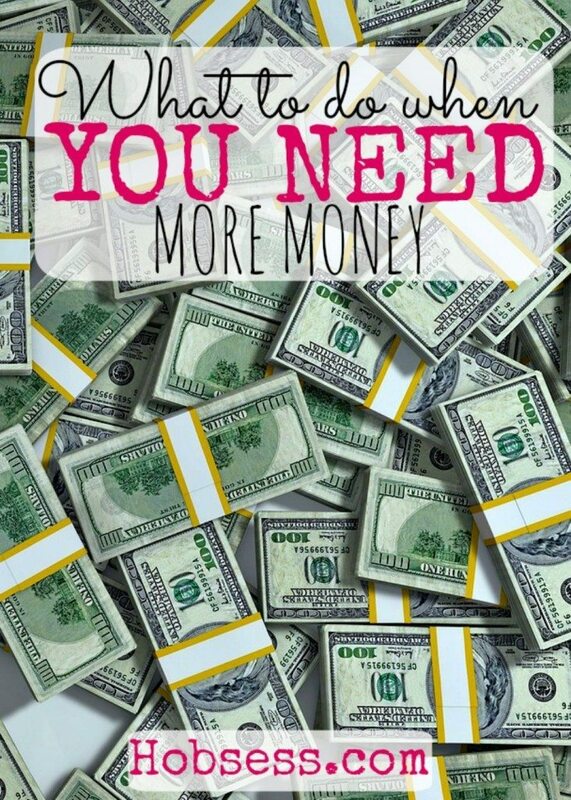 Is that nagging voice yelling at you: YOU NEED TO MAKE MORE MONEY!!! You are already working full time at a job you may or may not like. You have bills. You have debts. You have to keep working but you need more money! It’s never a good idea to look for a government bailout, a family handout or a life of crime, so you might consider another way. You could get a part-time job but you know you would be just as miserable times 2 with another employer. You could start a side business. Yes, the beauty of living in America is that you get to go into business for yourself. Full-time. Part-time. Your own business! So many people get talked into being sponsored into a business to sell jewelry, beauty or weight loss products because they want to make money. The passion is more of a desire to have more money than about the product. I have participated in several multi-level marketing programs over the years and my only advice would be to absolutely LOVE the products with “making money” being secondary. There are advantages to getting involved in this type of business. You don’t have to create or invent something to sell. The complete selling/sponsoring system is already in place. The company is responsible for filling and shipping the orders. There are built-in mentors to help you because they benefit from your success. However, there are disadvantages of being in an MLM. You may have your own list of pros and cons of an MLM. Just know what you are getting yourself into before you part with your start-up money. You could also find a product to sell. An option is to work with local businesses that will sell that product in their stores or find a way to get the product to the public either through a physical location or online. I also have participated in this venture about 15 years ago. Sam and I got into the phone card business and bought machines and placed them all over San Antonio, Texas. We worked all week at our jobs and then we would service the machines on the weekends. It was profitable and we were able to sell our business years before everyone got their own cell phone and long distance became cheap. The challenge of looking to make money this way is that you have to have the capital to lay out to purchase the product. And it’s someone else’s product. If anything goes wrong with the product since you have no control over it, it is your reputation and profit that will suffer. Do you have a hobby? You can start with something that you are passionate about and create a business from that. But first things first. Do you have a hobby? Do you have a passion that you can profit from? Work through this article on 3 Ways to Find Your Passion. Hobbies either produce a product, service or both. Let’s say that you love painting. You are passionate about it and can’t wait until your workday is over so you can paint your next masterpiece. You decide to sell your paintings (product) and/or teach others how to paint with online or face-to-face classes (service). 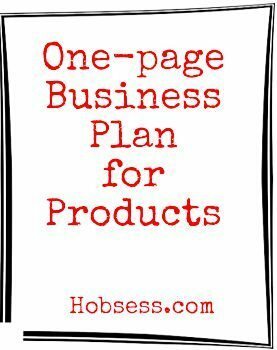 If your hobby allows you to make something to sell, complete the one-page business plan for products. If you can turn your hobby into a service, complete the one-page business plan for services. 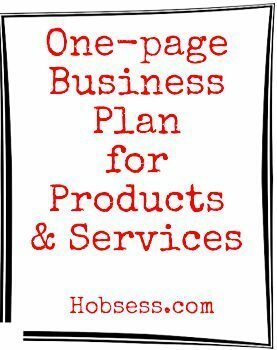 If you are feeling really ambitious and want to profit from offering both a product and a service, complete the one-page business plan for both a product and service. Spend a good amount of time on your planning. This one page plan isn’t too overwhelming and will definitely get your creative juices flowing. Dreams become real when you start planning. Planning becomes real when your ideas are on paper. Do you have an idea for a business? Which one of your hobbies can you profit from? Share this article with someone you know who has been dreaming of starting their own business.